Leah! Several years ago I ordered prints from you and thanks for that. I love your work and I especially like today’s KLUDGE for several reasons; it’s a new word to me, it’s evinced a cool image out of you, and it ties in with my interest in birds. I was introduced to the KEA by a New Zealand painter, Ray Ching. 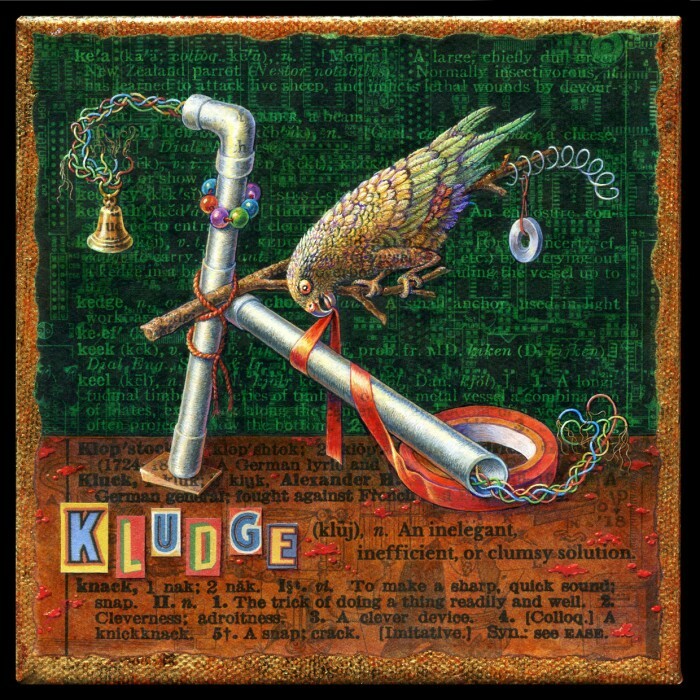 He is one of my favourite painters, so it all gets swept up into a ball of stuff which I can call KLUDGE!